Some songs rattle around in one's psyche far longer than expected. I may have admired a song, but not felt strongly about it for any number of reasons. Yet a decade or more later, it persists, haunting me in the grocery store, and each time I hear it I have to admit that it is compelling. 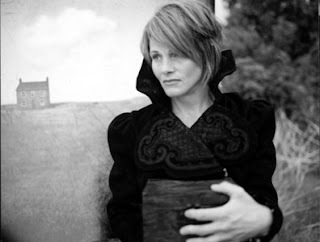 If a different artist recorded Shawn Colvin's biggest commercial success, "Sunny came home" - say, All About Eve or even Siouxsie & The Banshees - its gothic theme might come through more obviously. Even with a twangy, folksy, adult contemporary arrangement, the song is a coup; I finally gave it a close reading and found a remarkable portrait of the Mother archetype that doesn't show up very often in popular music, if at all. Of course popular music trucks in archetypes all the time: the Lover, the Fool, the King, the Warrior, the Virgin (far too often...) even the Magician; they are easy to find because part of what makes a song successful, and therefore popular, is how it taps into these universal constructs that we may or may not consciously acknowledge. And I suppose there are plenty of songs that treat the brighter side of Mother: life-giving, nurturing, protective. But "Sunny came home" is more concerned with the shadow of Mother: the woman who, in the words of Nietzsche, in order to be a creator must first be a destroyer. What the narrator characterizes initially as a few small repairs turns out to be burning the house down. There is nothing nihilistic about this act, however: even though we don't learn why, it is clear that the decision has been carefully considered, and it is executed just as carefully: put a sweater on the kids, wait for the day when the air is dry and a breeze will fan the flames. For whatever reason, this woman has determined that she must raze her old life to the ground if she is going to start a new one, for her and her children. There is a great literary tradition of women who refuse to let the world around them forget about the shadowy side of the Mother archetype. Gore Vidal possibly put it most succinctly in Myra Breckenridge: "That is woman's role, to make the wound and then to heal it." It is an incredible stark thought, as stark as the Greek world in winter, when Demeter is mourning her daughter Persephone by letting everything wither and die, and preventing anything new from being born. This is the reason why I admire "Sunny came home", even though it's somewhat remote from my musical center. I appreciate the darkness, the honesty, the subversion, particularly because it is handled so expertly that it became palatable to the general public. Good work, Ms. Colvin.